forever been about sharing our enthusiasm of music with others. Technology has finally caught up with my dream of sharing all of this with you - no matter where you currently reside. Please enjoy the site and let me know if there is anything else we can do to make your experience any better. Rainbow Guitars state of the art shipping department is staffed by some of the most diligent and efficient people you would ever want to meet. Their knowledge and attention to detail will ensure that the right item will be safely packaged and sent to you in a timely manner. Please feel free to contact any of the Rainbow Guitars staff with any questions you may have. You will be hard pressed to find a more dedicated, friendly and knowledgeable staff in any retail environment. Please take note of each employees work schedule on their bio page to ensure a timely reply. Search our database of Employee Reviews and Tips by entering a keyword or phrase in the search box below. 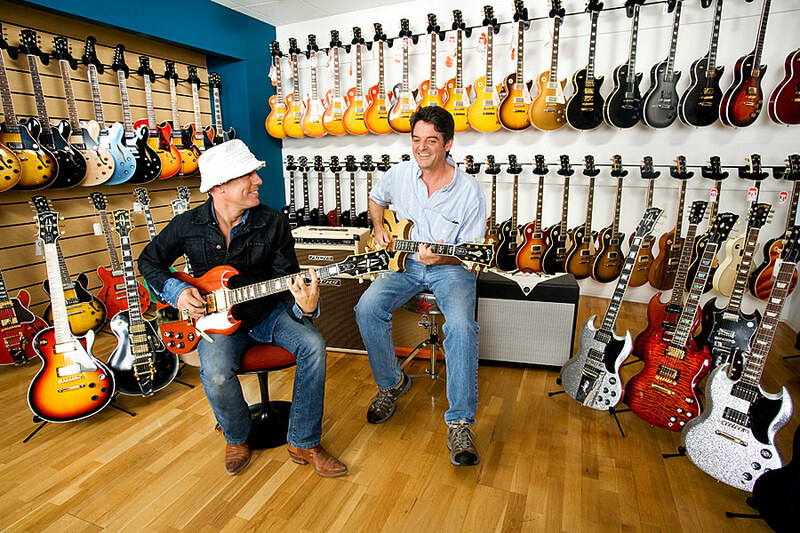 The Repair Department at Rainbow Guitars is the largest and best equipped shop in Southern Arizona. Our staff is comprised of two luthiers and two techs with combined experience of over 50 years building and repairing guitars, basses and all fretted instruments. We have an extremely strong commitment to customer satisfaction, and produce world-class results. 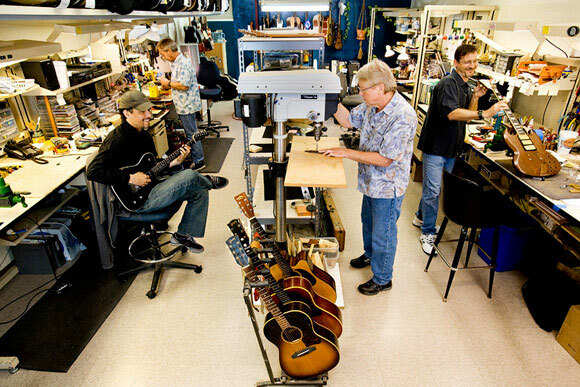 We are an authorized repair center for Martin, Fender, Taylor, Guild, Gretsch, Jackson, Charvel, Ovation, Tacoma and more. We offer full service on all fretted instruments, from restringing to neck resets. Check below for a sample of our services. This is a misnomer for what is involved. Our restring procedure is more like a minor set-up. We clean and lightly oil the fingerboard, polish the entire guitar, tighten and adjust tuning machines, check strap buttons, clean and lube the nut, smooth the saddle (Acoustic guitars) then install strings. After tuning-up we adjust the neck if necessary, clip the excess strings and re-tune. Many players unnecessarily suffer from an instrument that is not adjusted properly, causing it to be hard to play or have annoying string buzz. Guitar set-ups are like a tune-up on a car; they should be done on a regular basis to keep your instrument in top playing condition. Once a year is usually sufficient, although necks may need to be adjusted more frequently due to humidity changes. Our set-ups include the restringing procedure, cleaning all hardware, neck adjustment, minor fret work, setting bridge/saddle height, setting proper nut height, cleaning & lubricating electronics, setting intonation, and adjusting pick-ups. This results in an instrument that not only is comfortable to play, but sounds great as well. Fret dressing is a fine compliment to a set-up. Quite often frets are worn causing low spots that cause poor tone or buzzing , or are uneven which can cause buzzing or dead notes. We start a fret dress by seating and gluing any loose frets, followed by leveling all frets and removing any low or high spots. We then use a special crowning file to round the top of each fret, followed by smoothing them with progressively finer grits of sandpaper and steel wool until they are smooth and shiny like new. A re-fret is the best thing you can do to improve the playability and tone of your instrument. Even most new guitars do not match the quality of a good fret job. It's like putting new high performance tires on your car after driving around on bald tires. A re-fret consists of carefully pulling the old frets, straightening the fingerboard while maintaining (or achieving) the proper radius, cleaning out the fret slots, installing the new frets, filing the ends and beveling them, followed by the leveling, crowning and smoothing procedure described above. The result is a straight fingerboard with well rounded frets that not only have great tone, but are a joy to play. All re-frets include a complete set-up. Pricing View this PDF to see our most current rates. Rainbow Guitar's media department is second to none, consistently delivering "catalog" quality images for every item we sell. Our youthful and energetic team uses creative techniques to capture the essence of musical instruments without relying on "over saturation" or "high contrast" photo settings. You'll notice a realism of photography on our site that ensures you won't be disappointed when a purchased item arrives to you. Our team takes pride in their work, and it shows. Shelly Jo hails from the MidWest, but calls Tucson her home. She has been working at Rainbow since 2012, and has been gracing our webpage with her beautiful photography ever since. "Capturing the essence of a guitar with photography is a challenge I find very rewarding" says Shelly Jo who also helps answering phones, and working the sales counters. 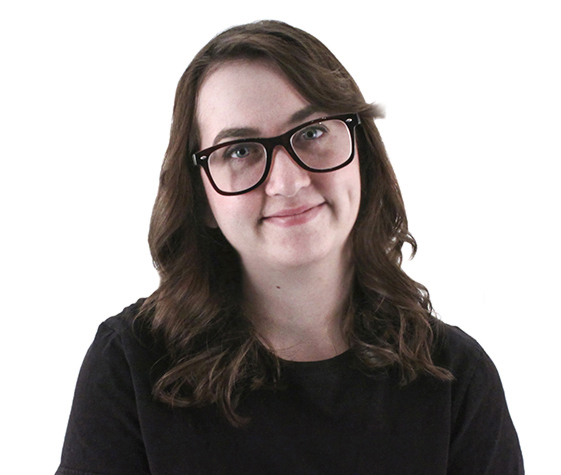 Shelly's hobbies include painting and sculpting, she is also a Fine Arts student at the University of Arizona and an up and coming unicyclist. 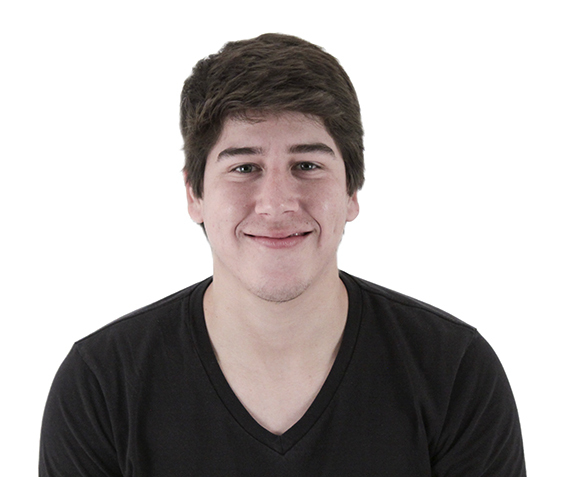 Born and raised in Tucson, AZ., Zach has worked at Rainbow Guitars since 2013. Zach's passion for photography includes everything from taking photos of his friends skateboarding, to studying both traditional film as well as modern digital photo techniques. Easy going and hard working are words used to describe Zach, whose interests include cars, motorcycles, skateboarding, and playing guitar. All photos on this website are all copyrighted by Rainbow Guitars or respective manufacturers. All rights reserved. We've been fortunate to serve customers from all over the world for over 30 years. Here you can read a few of their experiences in their own words. For this professional level service, I thank you! I would definitely buy from Rainbow again! Never experienced such friendly, professional service! Harvey, Hello Sir, my name is Daniel and I am contacting you in regards to an excellent experience I had last week with one of your employees. His name is Clay. Clay provided me with what I consider to be the fastest response to a customer in the most professional way I have ever experienced. I was looking around for a shell kit with the intentions of just " looking ", well, Clay was so quick and friendly in his response to my search that I couldn't help but to investigate further. Through several pleasant and most enjoyable conversations through email, Clay offered me the perfect shell pack for me at an amazing price. Because of this excellent service on behalf of Clay and ultimately RainbowGuitars, I decided to make a purchase. I was taken back how fast Clay got this order out and received this product in TWO DAYS. Harvey, I have been shopping on line for years and I have never, I mean NEVER experienced such friendly, professional service, and information that Clay provided to me ever. I have also never received a product delivered to my door so quickly in my entire life. Because of Clays hard work and friendly ethics I will never shop anywhere else for my musical equipment. Respectfully Daniel, Great Job Clay !!!!! I am currently calling back for a snare drum ! With a type of professionalism that I have yet to find in the valley. Many thanks for this great guitar! Thanks again for the fantastic customer service and an amazing guitar! 1. Personal Information You Choose to Provide Registration Information. You will provide us information about yourself, your firm or company, and your practices when you register to be a member of RainbowGuitars.com, register for certain services, or register for email newsletters and alerts. You may also provide additional comments on how you see RainbowGuitars.com servicing your needs and interests. Broadly speaking, we use personal information for purposes of administering and expanding our business activities, providing customer service and making available other products and services to our customers and prospective customers. Occasionally, we may also use the information we collect to notify you about important changes to our Web site, new services and special offers we think you will find valuable. You may notify us at any time if you do not wish to receive these offers by emailing us at: customerservice@rainbowguitars.com. Occasionally, we may also use the information we collect to notify you about important changes to our Web site, new services and special offers we think you will find valuable. As our customer, you will be given the opportunity to notify us of your desire not to receive these offers by sending us an email request at customerservice@rainbowguitars.com. Email is not recognized as a secure medium of communication. For this reason, we request that you do not send private information to us by email. Some of the information you may enter on our Web site may be transmitted securely via Secure Sockets Layer SSL, 128 bit encryption services. Pages utilizing this technology will have URLs that start with HTTPS instead of HTTP. Please contact customerservice@rainbowguitars.com com if you have any questions or concerns. You may request access to all your personally identifiable information that we collect online and maintain in our database by emailing customerservice@rainbowguitars.com. "RainbowGuitars.com" and others are our service marks or registered service marks or trademarks. Other product and company names mentioned on the Site may be trademarks of their respective owners. 4. Limited License; Permitted Uses. 5. Restrictions and Prohibitions on Use. 7. No Legal Advice or Attorney-Client Relationship. 8. Linking to the Site. The Site may contain advertising and sponsorships. Advertisers and sponsors are responsible for ensuring that material submitted for inclusion on the Site is accurate and complies with applicable laws. We are not responsible for the illegality or any error, inaccuracy or problem in the advertiser's or sponsor's materials. 11. Errors, Corrections and Changes. THE INFORMATION, CONTENT AND DOCUMENTS FROM OR THROUGH THE SITE ARE PROVIDED "AS-IS," "AS AVAILABLE," WITH “ALL FAULTS”, AND ALL WARRANTIES, EXPRESS OR IMPLIED, ARE DISCLAIMED (INCLUDING BUT NOT LIMITED TO THE DISCLAIMER OF ANY IMPLIED WARRANTIES OF MERCHANTABILITY AND FITNESS FOR A PARTICULAR PURPOSE). THE INFORMATION AND SERVICES MAY CONTAIN BUGS, ERRORS, PROBLEMS OR OTHER LIMITATIONS. WE AND OUR AFFILIATED PARTIES HAVE NO LIABILITY WHATSOEVER FOR YOUR USE OF ANY INFORMATION OR SERVICE, EXCEPT AS PROVIDED IN SECTION 17(b). IN PARTICULAR, BUT NOT AS A LIMITATION THEREOF, WE AND OUR AFFILIATED PARTIES ARE NOT LIABLE FOR ANY INDIRECT, SPECIAL, INCIDENTAL OR CONSEQUENTIAL DAMAGES (INCLUDING DAMAGES FOR LOSS OF BUSINESS, LOSS OF PROFITS, LITIGATION, OR THE LIKE), WHETHER BASED ON BREACH OF CONTRACT, BREACH OF WARRANTY, TORT (INCLUDING NEGLIGENCE), PRODUCT LIABILITY OR OTHERWISE, EVEN IF ADVISED OF THE POSSIBILITY OF SUCH DAMAGES. THE NEGATION AND LIMITATION OF DAMAGES SET FORTH ABOVE ARE FUNDAMENTAL ELEMENTS OF THE BASIS OF THE BARGAIN BETWEEN US AND YOU. THIS SITE AND THE PRODUCTS, SERVICES, DOCUMENTS AND INFORMATION PRESENTED WOULD NOT BE PROVIDED WITHOUT SUCH LIMITATIONS. NO ADVICE OR INFORMATION, WHETHER ORAL OR WRITTEN, OBTAINED BY YOU FROM US THROUGH THE SITE OR OTHERWISE SHALL CREATE ANY WARRANTY, REPRESENTATION OR GUARANTEE NOT EXPRESSLY STATED IN THIS AGREEMENT. ALL RESPONSIBILITY OR LIABILITY FOR ANY DAMAGES CAUSED BY VIRUSES CONTAINED WITHIN THE ELECTRONIC FILE CONTAINING A FORM OR DOCUMENT IS DISCLAIMED. (a)	We and any Affiliated Party shall not be liable for any loss, injury, claim, liability, or damage of any kind resulting in any way from (a) any errors in or omissions from the Site or any services or products obtainable therefrom, (b) the unavailability or interruption of the Site or any features thereof, (c) your use of the Site, (d) the content contained on the Site, or (e) any delay or failure in performance beyond the control of a Covered Party. (b)	THE AGGREGATE LIABILITY OF US AND THE AFFILIATED PARTIES IN CONNECTION WITH ANY CLAIM ARISING OUT OF OR RELATING TO THE SITE AND/OR THE PRODUCTS, INFORMATION, DOCUMENTS AND SERVICES PROVIDED HEREIN OR HEREBY SHALL NOT EXCEED $100 AND THAT AMOUNT SHALL BE IN LIEU OF ALL OTHER REMEDIES WHICH YOU MAY HAVE AGAINST US AND ANY AFFILIATED PARTY. 24. Links to other Web Sites. 25. Copyrights and Copyright Agents. 26. Information and Press Releases. 28. Refund and Return Policy. To the extent that you purchase any goods or services directly from us, we will refund you your purchase price within 30 days of you notifying us in writing of your desire for the refund, together with the reason for the request, with the product or service returned to us in substantially the same condition as when purchased. Please note , however, that certain products and services mentioned on our site are sold by third parties or are linked to third party Web sites, and we have no responsibility or liability for those products or services. You may request a refund by contacting us by email at customerservice@rainbowguitars.com com. You may obtain any additional information concerning our refund and return policy, including our mailing address, by contacting us at customerservice@rainbowguitars.com com. This Agreement shall be treated as though it were executed and performed in San Francisco, California, and shall be governed by and construed in accordance with the laws of the State of California (without regard to conflict of law principles). Any cause of action by you with respect to the Site (and/or any information, Documents, products or services related thereto) must be instituted within one (1) year after the cause of action arose or be forever waived and barred. All actions shall be subject to the limitations set forth in Section 16 and Section 17. The language in this Agreement shall be interpreted as to its fair meaning and not strictly for or against any party. This Agreement and all incorporated agreements and your information may be automatically assigned by us in our sole discretion to a third party in the event of an acquisition, sale or merger. Should any part of this Agreement be held invalid or unenforceable, that portion shall be construed consistent with applicable law and the remaining portions shall remain in full force and effect. To the extent that anything in or associated with the Site is in conflict or inconsistent with this Agreement, this Agreement shall take precedence. Our failure to enforce any provision of this Agreement shall not be deemed a waiver of such provision nor of the right to enforce such provision. Our rights under this Agreement shall survive any termination of this Agreement. Any legal controversy or legal claim arising out of or relating to this Agreement or our services, excluding legal action taken by us to collect or recover damages for, or obtain any injunction relating to, Site operations, intellectual property, and our services, shall be settled solely by binding arbitration in accordance with the commercial arbitration rules of JAMS. Any such controversy or claim shall be arbitrated on an individual basis, and shall not be consolidated in any arbitration with any claim or controversy of any other party. The arbitration shall be conducted in San Francisco, California, and judgment on the arbitration award may be entered into any court having jurisdiction thereof. Either you or us may seek any interim or preliminary relief from a court of competent jurisdiction in San Francisco, California necessary to protect the rights or property of you and us pending the completion of arbitration. Each party shall bear one-half of the arbitration fees and costs incurred through JAMS.